Removes some lights that were too close to each other. Makes the mods compatible. Removed some smoke that was left over from a removed light source. 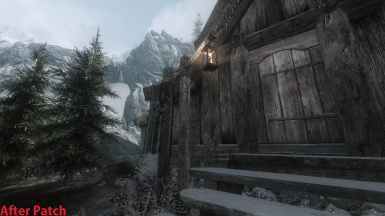 This patch basically makes Lanterns Of Skyrim and the ELFX Exteriors ESP compatible. What I mean by that is it removes some light sources that were too close to each other. 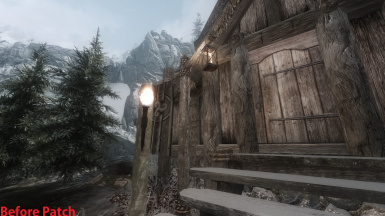 Lanterns Of Skyrim ELFX Patch - This isn't the same thing as this mod, johnocc's mod just changes the LOS lantern's lights so they are the same color as ELFX Exteriors' lanterns. It is not actually required for my mod to work but if you don't use it your lantern's light will look awkward. From what I can see it should be compatible with Expanded Towns and Cities as long as you load it after ETaC's patches. In theory they work together but I haven't extensively tested it. If there is an issue notify me and I'll look into making a patch. So I think I fixed all the lights being too close together, but I might of missed a few. If you find a conflict tell me the location and I will try to fix it. Custom Placed Trees Megapatch - This patch makes it so the popular custom tree mods work together and do not replace vanilla trees. Expanded Carriage Service - Bug Fixes And Compatibility Patches - This mod fixes the bugs in the mod Expanded Carriage Service and has compatibility patches for Lanterns of Skyrim, ELFX, and Inconsequential NPCs.